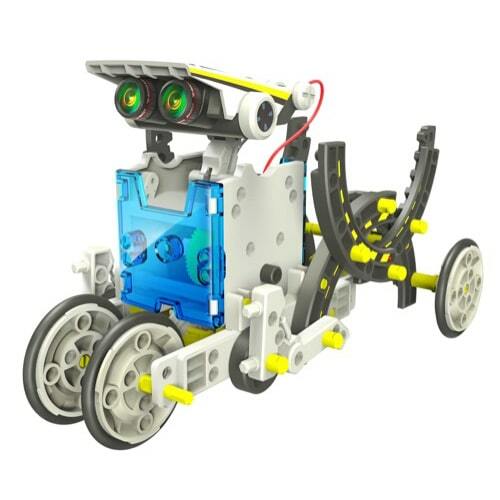 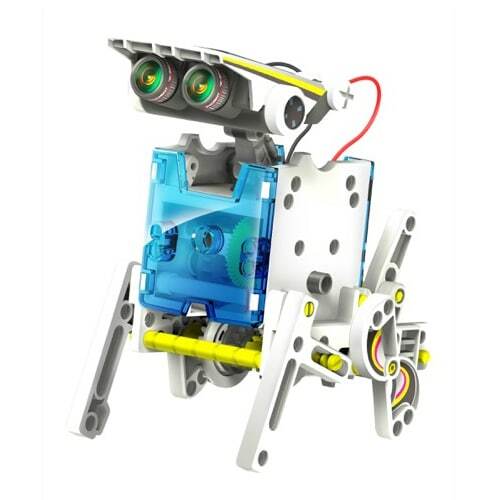 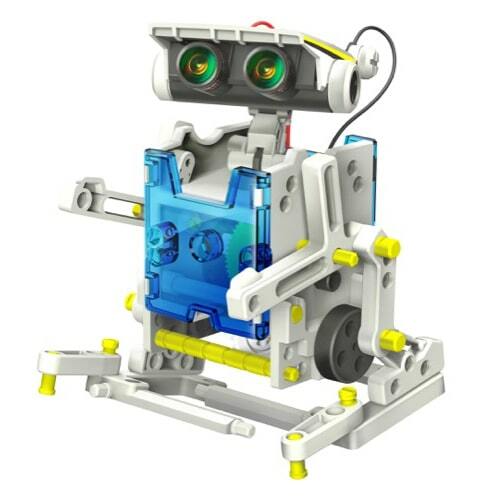 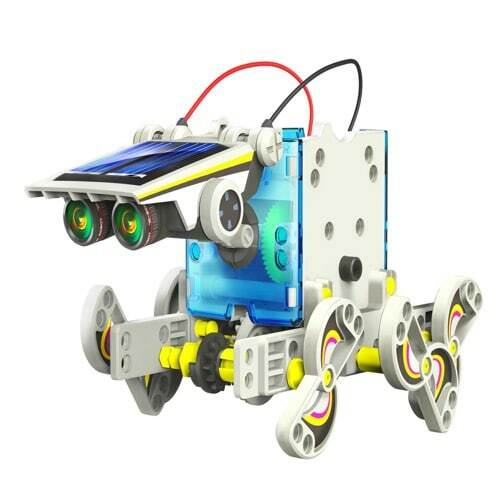 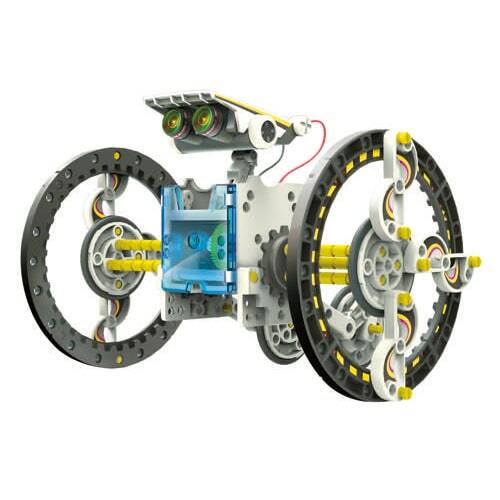 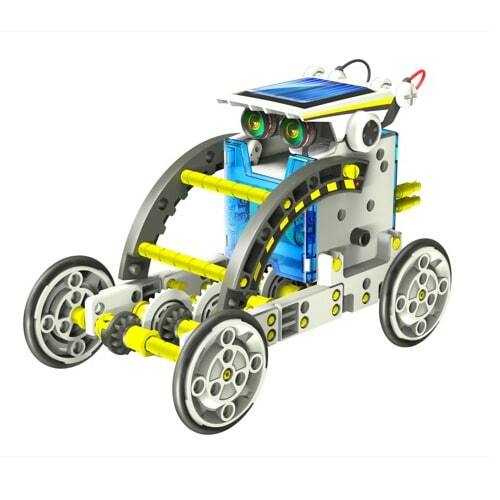 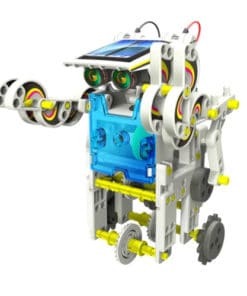 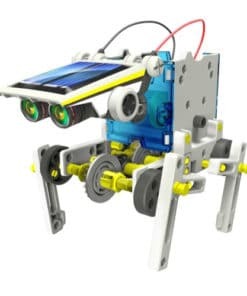 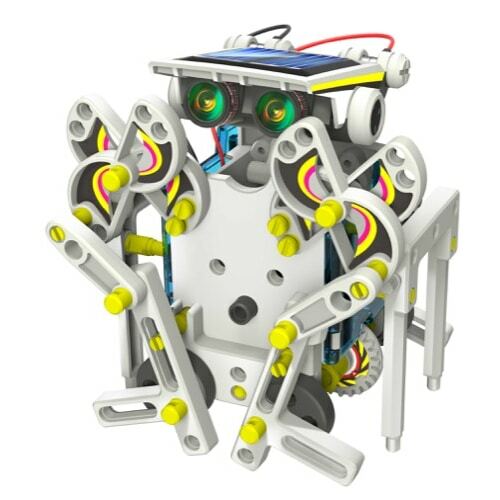 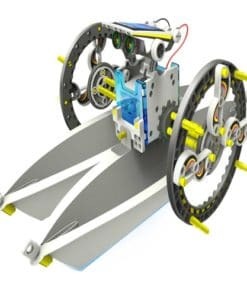 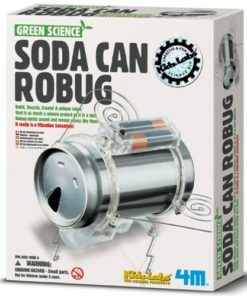 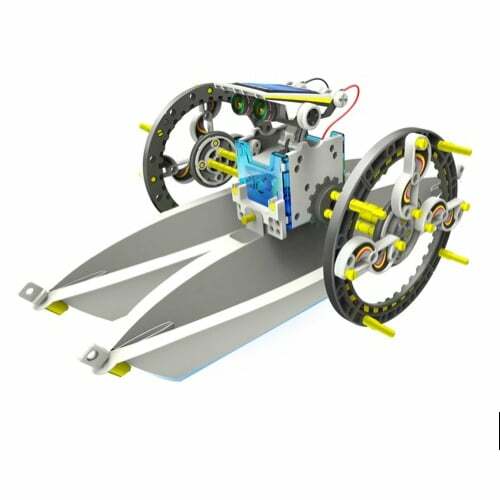 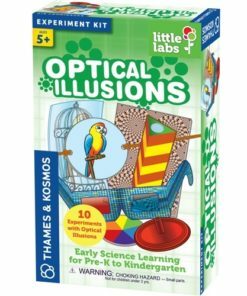 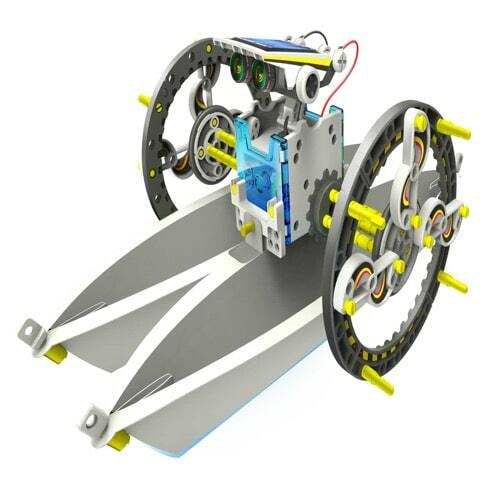 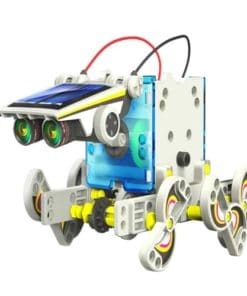 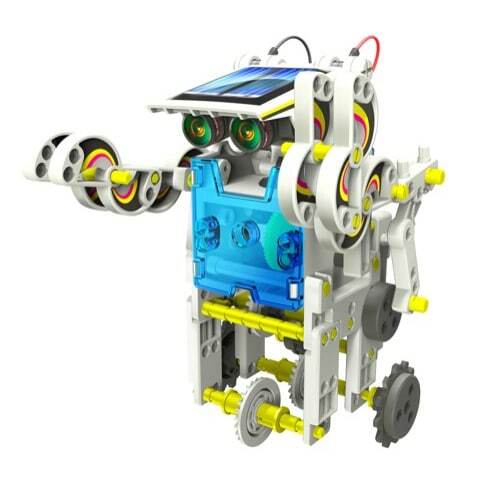 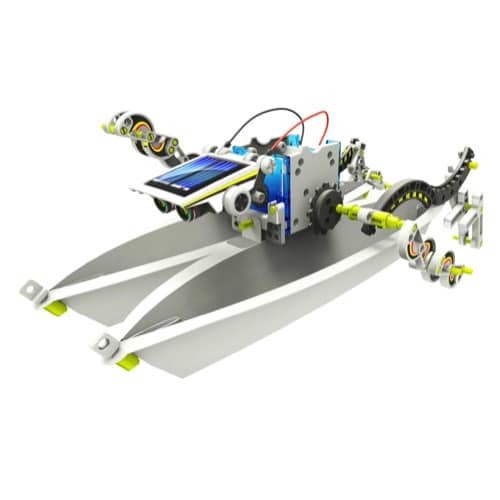 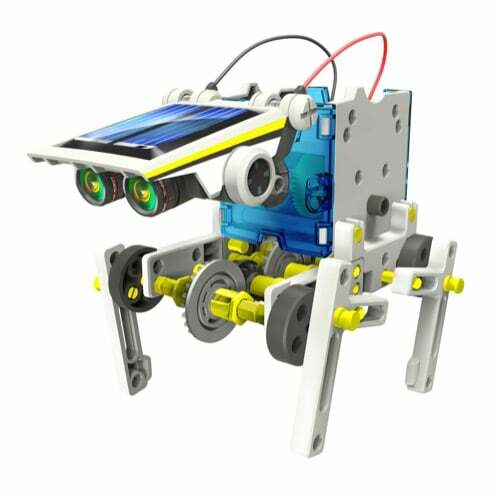 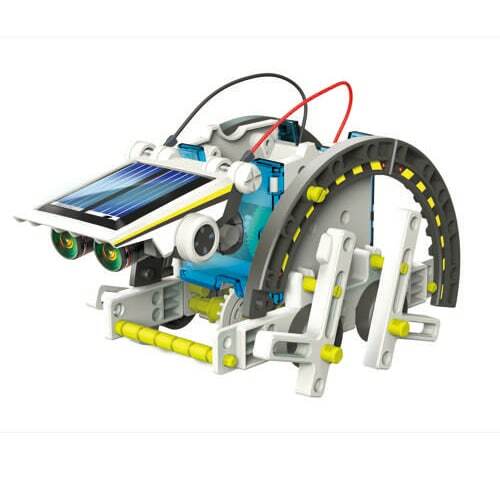 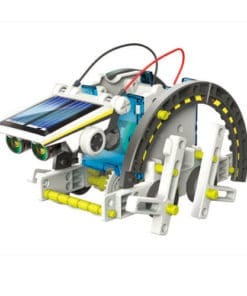 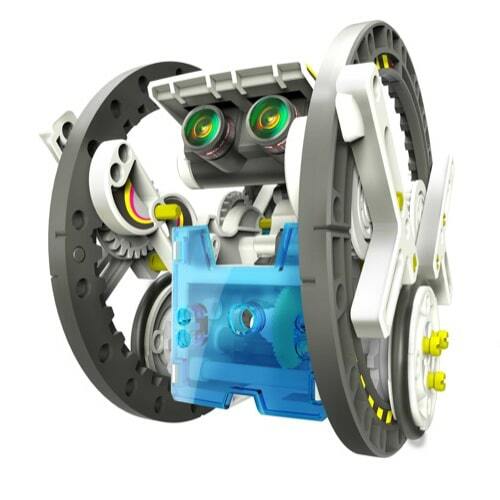 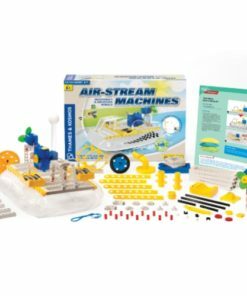 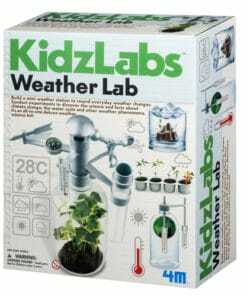 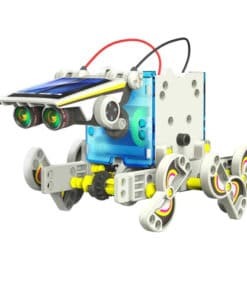 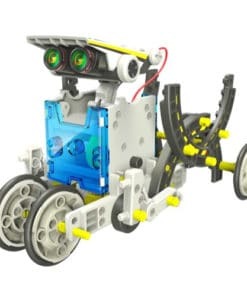 Renewable energy is soon to be a huge part of our lives so why not get your children off to an early start with 14 in 1 Solar Robot Kit. 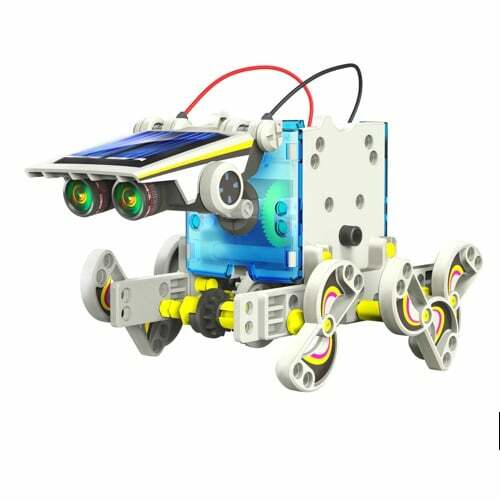 Renewable energy is soon to be a huge part of our lives so why not get your children off to an early start with 14 in 1 Solar Robot Kit. 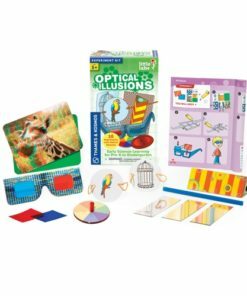 Yes, 14 in 1! 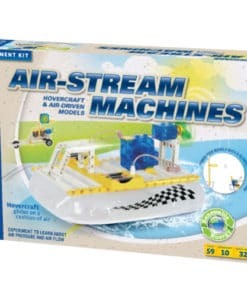 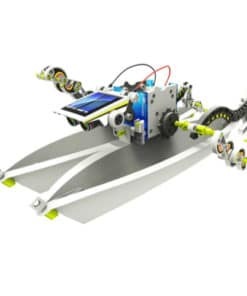 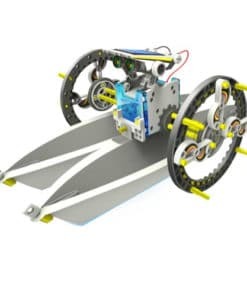 Full of unique accessories and parts, this robot can tackle water and land and is powered purely by sunlight so no batteries required. 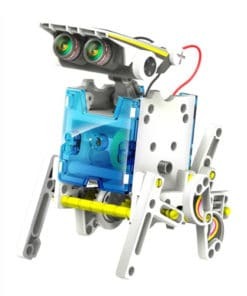 There are two building levels to this little guy, level 1 for the amateurs and level 2 if you’re looking for something a little more challenging. 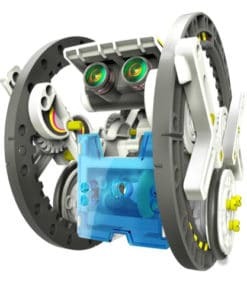 By adjusting the polarities you can change the direction of your motor rotation, and thanks to the transparent housing you can see the gears moving. 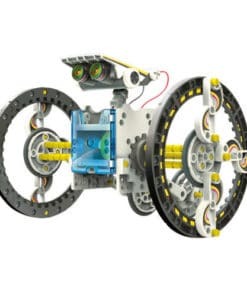 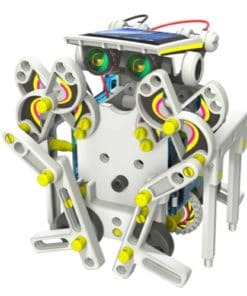 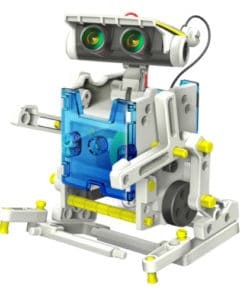 The head can be stored either in the body or installed in the front, top or rear of the robot. 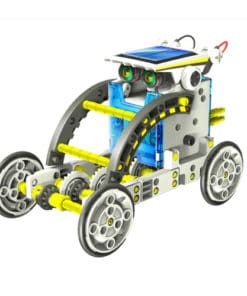 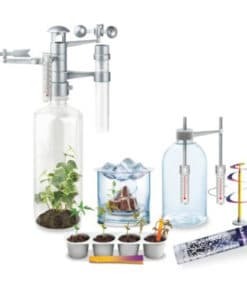 Solar powered – no batteries required!